How to remove FBI Your Computer Has Been Locked scam from your computer? FBI Your Computer Has Been Locked is a screen locker which is created by Internet criminals with the intention of tricking unsuspecting PC users into paying a non existent fine for copyrighted material supposedly detected on their computers. This scam exploits the name of Federal Bureau of Investigation to make it seem more realistic. 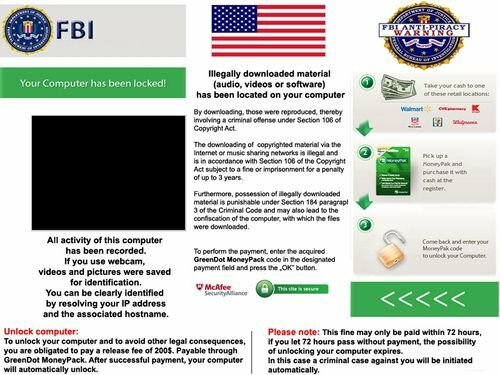 Notice that FBI has never used and doesn't use such screen lockers to fight Internet piracy, this screen locker was created by Cyber criminals who are hoping that you will fall for this trickery and you will pay a non existent fine to unlock your PC. 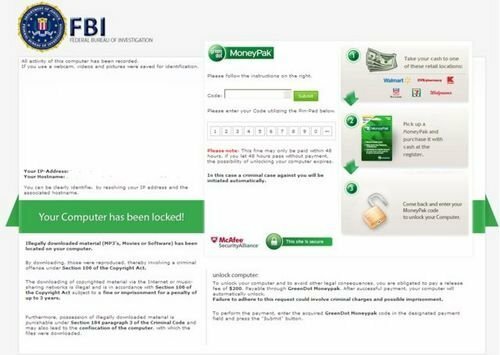 This scam is just one of many that attacks computers connected to the Internet, previously seen screen locker which also exploited the name of FBI and uses MoneyPak for payment was named The FBI Federal Bureau of Investigation. Internet criminals also uses a name of McAfee and a badge "This site is secure" to further trick PC users into believing that this screen locker is legitimate. You shouldn't trust this screen, none of the authorities are using such methods to collect fines for copyrighted material. Note that MoneyPak is used to pay the supposed fine to make the tracing of Internet criminals almost impossible. There are several variants of this scam, both uses MoneyPak and has similar deceptive messages. 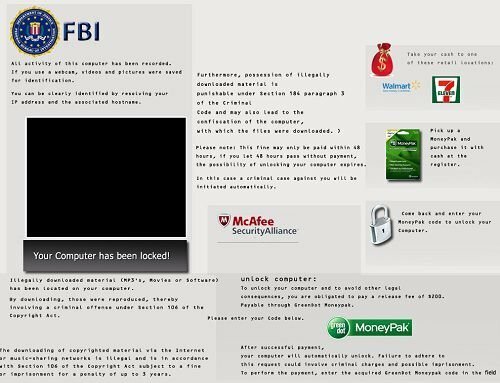 FBI "Your computer has been locked" is a scam, don't pay the imaginary fine, you will send your money to Cyber criminals who are responsible for releasing this misleading screen locker. If your computer screen has been locked by this message use the provided removal instructions to eliminate it. During your computer starting process press F8 key on your keyboard multiple times until Windows Advanced Options menu shows up, then select Safe mode with networking from the list and press ENTER. Log in to the account that is infected with FBI "Your computer has been locked" scam. Start your Internet browser and download a legitimate anti-spyware program. Update the anti-spyware software and start a full system scan. Remove all the entries that it detects. If you have more than one user account in your operating system - please log-in to the clean account and download the recommended anti-spyware software, install it and run a full system scan, remove all the security infections it will detect, however if you have only one user account please follow this guide (this guide will show you how to create a new user account using safe mode with command prompt - using this newly created user account you will be able to remove FBI "Your computer has been locked" ransomware). 1. 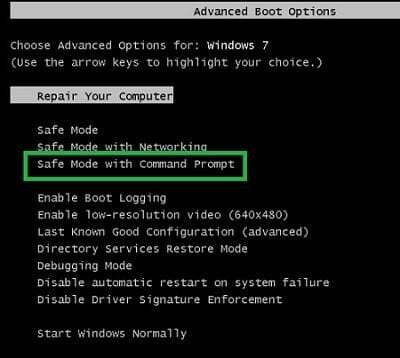 Start your computer in Safe Mode with Command Prompt - During your computer starting process press F8 key on your keyboard multiple times until Windows Advanced Options menu shows up, then select Safe mode with command prompt from the list and press ENTER. 2. 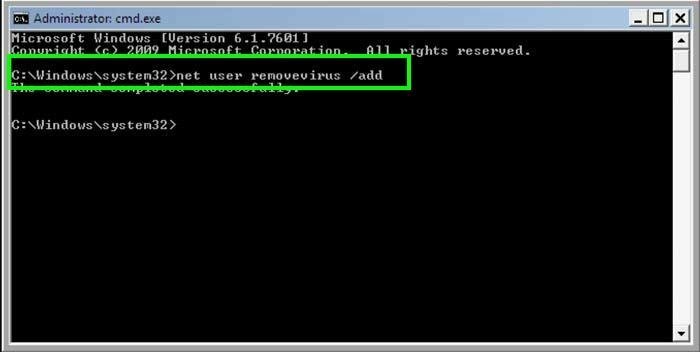 When command prompt mode loads enter the following line: net user removevirus /add and press ENTER. 3. 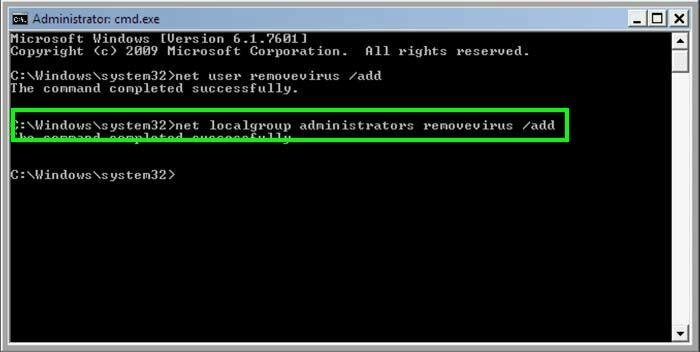 Next enter this line: net localgroup administrators removevirus /add and press ENTER. 4. 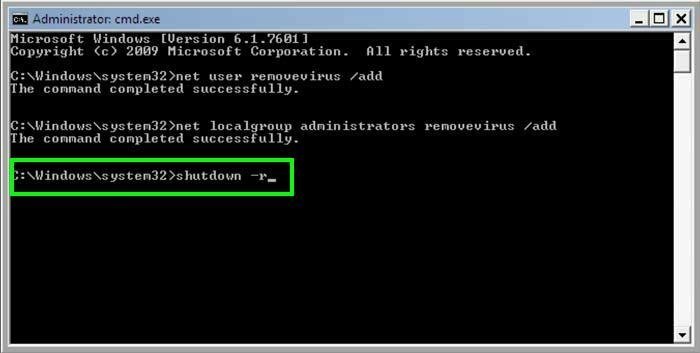 Finnaly enter this line: shutdown -r and press ENTER. 5. Wait for your computer to restart, then boot your PC in Normal Mode and login to the newly created user account ("removevirus"). This account won't be affected by the ransomware infection and you will be able to download and install recommended anti-spyware software to eliminate this virus from your computer. 2. When command prompt mode loads enter the following line: cd restore and press ENTER. 3. Next type this line: rstrui.exe and press ENTER. 4. In the opened window click "Next". 5. 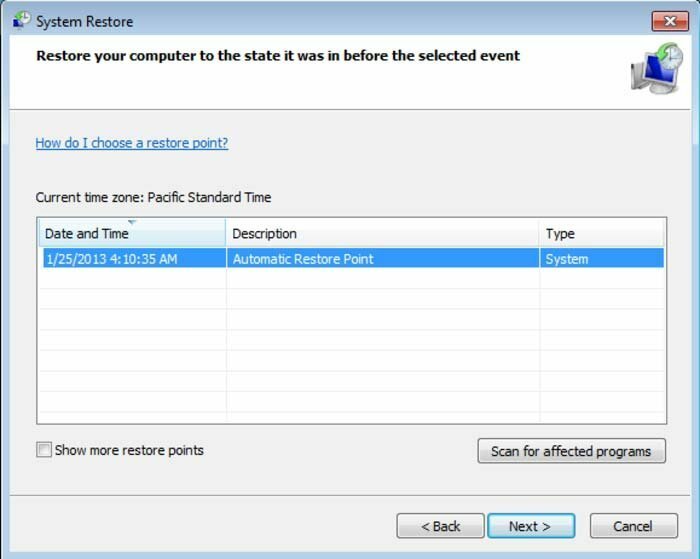 Select one of the available restore point and click "Next" (this will restore your computer's system to an earlier time and date, before the ransomware infiltrated your PC). 6. In the opened window click "Yes". 7. After restoring your computer to a previous date download and scan your PC with a recommended anti-spyware software to eliminate any left remnants of "FBI - Your computer has been locked" ransomware. If this ransomware blocks your screen when you start your computer in safe mode with networking, try starting your PC in safe mode with command prompt. 1. 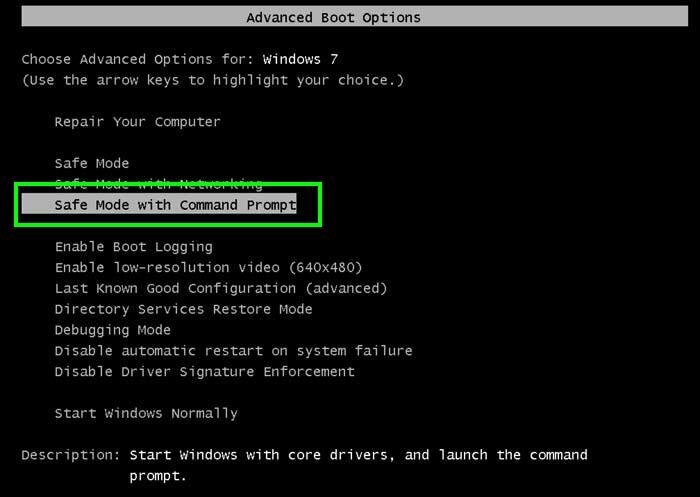 During your computer starting process press F8 key on your keyboard multiple times until Windows Advanced Options menu shows up, then select Safe mode with command prompt from the list and press ENTER. 2. In the opened command prompt type explorer and press Enter. This command will open explorer window, don't close it and continue to the next step. 3. In the command prompt type regedit and press Enter. This will open the registry editor window. 5. In the right side of the window locate "Shell" and right click on it. Click on Modify. The default value data is Explorer.exe if you see something else written in this window remove it and type in Explorer.exe (you can write down whatever else was written in the value data section - this is a path of the rogue execution file) - use this information to navigate to the rogue executable and remove it. 6. Restart your computer, download and install a legitmate anti-spyware software and perform a full system scan to eliminate any left remnants of FBI "Your computer has been locked" scam. 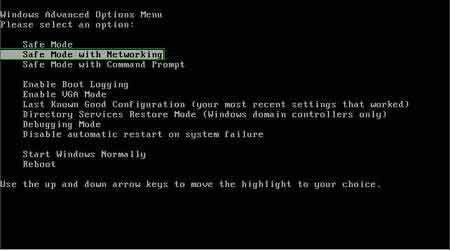 If you can't start your computer in safe mode with networking (or with command prompt) you should boot your computer using a rescue disk. Some variants of ransomware disables safe mode making it's removal more complicated. For this step you will need access to another computer. 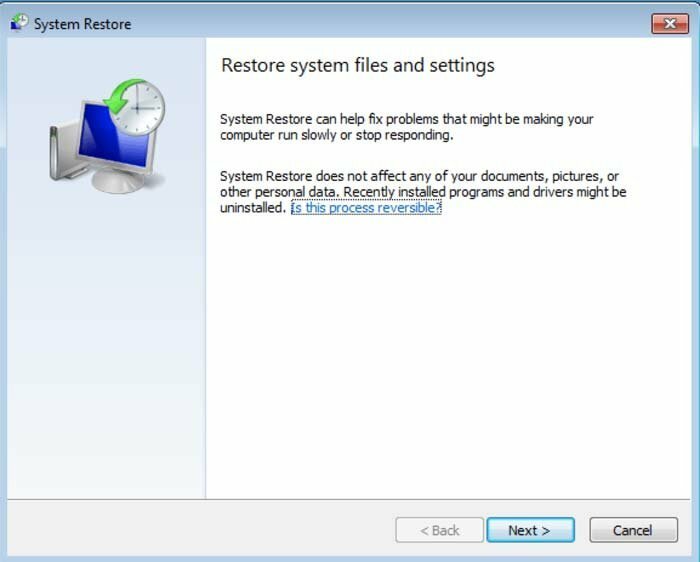 After removing FBI "Your computer has been locked" scam from your PC restart your computer and scan it with a legitimate antispyware software to remove any possibly left remnants of this security infection. Some malicious software modifies browser settings and disables downloads of spyware and virus removing software. If you have problems downloading anti-spyware software with Internet Explorer, try downloading with Chrome, FireFox, Opera, etc. Load your computer in safe mode. Click Start, click Shut down, click Restart, click OK. During your computer starting process press F8 key on your keyboard multiple times until you see Windows Advanced Option menu, then select Safe mode with networking from the list. Start Task manager. Press ctrl+alt+del (or ctrl+shift+esc) and end task the processes of rogue program. ( if after this procedure you can't access any programs press ctrl+alt+del, click File, select New Task, and type explorer.exe then press OK.
Open Internet explorer, click Tools and select Internet Options. Select Connections, then click LAN settings, if a Use a proxy server for your LAN is checked, un-check it and press OK.
After this procedure you should be able to access Internet. Now you can download anti-spyware software from our "Top spyware removers" section and run a full scan. Download, install and don't forget to update your selected anti-spyware program.